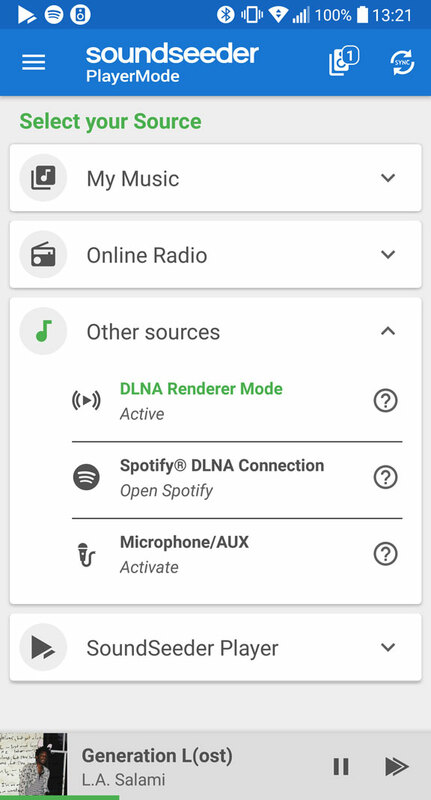 Spotify® Connect Support new - soundseeder.com | Play music simultaneously on multiple devices. SoundSeeder now also supports the streaming of Spotify® music to your speakers. 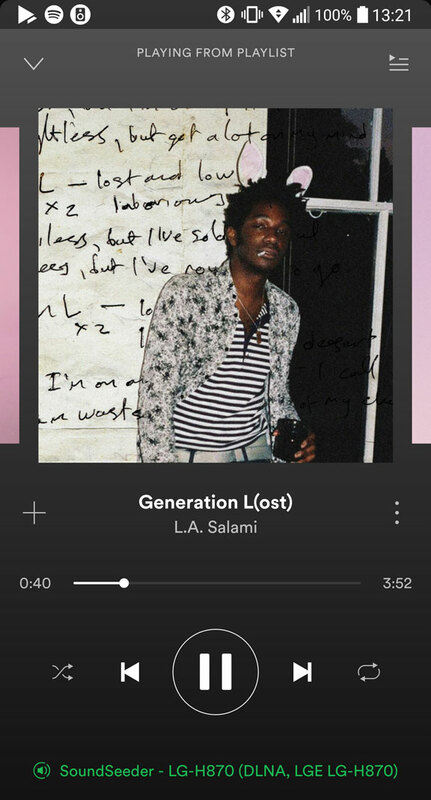 This feature was implemented in cooperation with “HiFy” and makes use of the “Spotify® Connect” interface. 2. 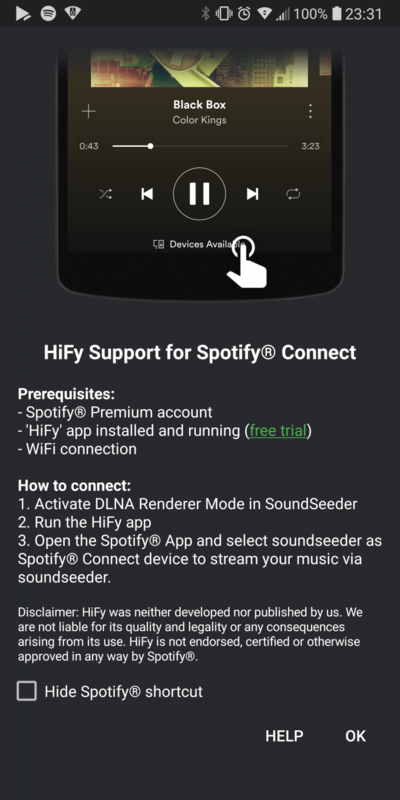 If HiFy and Spotify are installed on your device, you can start both of them directly from SoundSeeder by selecting “SoundSeeder DLNA Connection”. 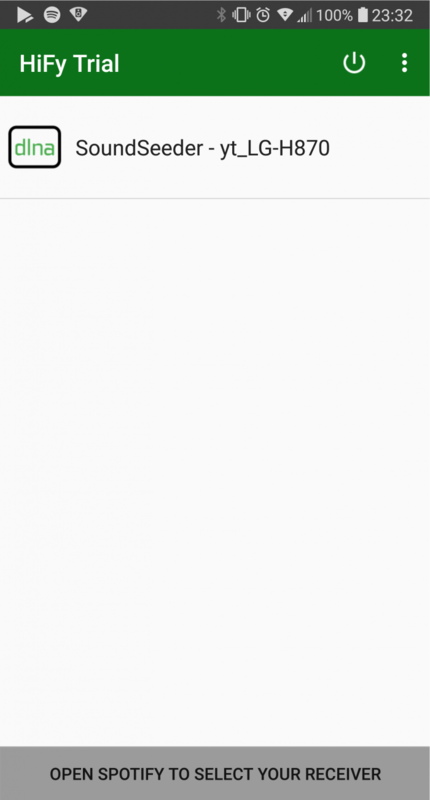 You can also run the HiFy app manually. This app is the bridge (adapter) between SoundSeeder and Spotify. 3. Now open Spotify® on a device in your network. 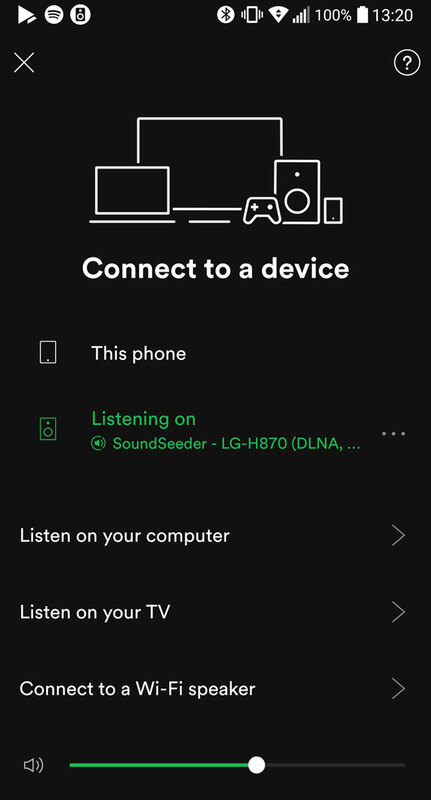 SoundSeeder is now available as “Spotify® Connect” device. Select it and start playing your Spotify® music via soundseeder. Disclaimer: HiFy was neither developed nor published by us. We are not liable for its quality and legality or any consequences arising from its use. HiFy is not endorsed, certified or otherwise approved in any way by Spotify®.